Serrated edge knife for effective removal of bot eggs. No sharp edges. 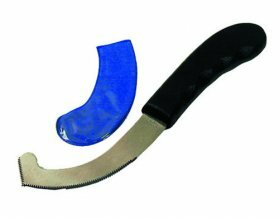 Stainless steel blade with plastic handle.